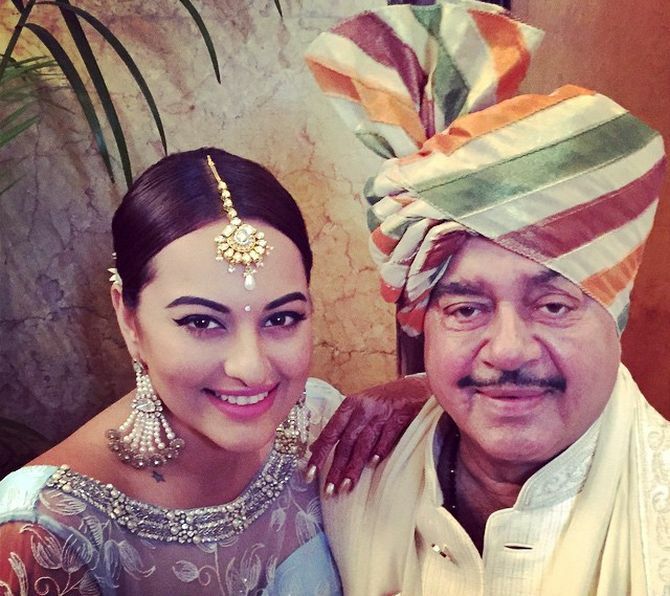 Days after actor-politician Shatrughan Sinha met Rahul Gandhi and is likely to join the Congress party, daughter Sonakshi Sinha on Friday said he should have “moved on” from BJP long back as he did not get the respect he deserved. Sonakshi said joining Congress is his choice and she believes the veteran actor will be able to do good work with the party. “It’s his choice. If you aren’t happy at a place with the way things are going, you should definitely change it. Which he did. I hope with his new association with Congress, he will be able to do a lot more good work and not feel suppressed,” Sonakshi told reporters. The actor said it was high time that Sinha left BJP. “Being such a senior leader and having such a vast knowledge, being a member of the party from the beginning, from the time of Jayprakash Narayan ji, Atal ji, LK Advani ji, my father has a lot of respect within the party. She was speaking on the sidelines of HT Most Stylish Awards.